A healthy workforce: 5 questions for … Richard Safeer M.D. Richard Safeer, M.D., is the medical director of Employee Health & Wellness at Johns Hopkins HealthCare and an assistant professor of Medicine and Public Health at The Johns Hopkins University School of Medicine and The Johns Hopkins Bloomberg School of Public Health. Dr. Safeer was a family practitioner and formerly the medical director of Preventive Medicine at CareFirst BlueCross BlueShield, in Baltimore. At Johns Hopkins HealthCare, Dr. Safeer is responsible for developing programs to promote and sustain a culture of health. 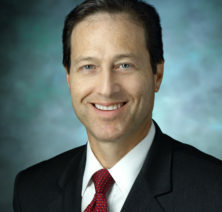 He currently serves on the Board of Directors for the American College of Lifestyle Medicine. Q: Why is it important for business leaders to provide wellness programs to their employees? A: Most full-time employees spend half of their waking hours in the workplace, and hundreds of health-related decisions are made during that time. Employers have the opportunity to make it easier for their employees to make healthier choices. Healthy choices lead to better health, which means less absent workers, more engaged employees, and lower costs related to their health care as well as to worker’s compensation and disability. Q: People tend to follow their own wellness plan, whether that’s their diet or how they exercise or relieve stress. What can business leaders do to engage their employees in their own health? A: Leaders can set the example. Leaders who not only verbally support healthy choices at work but visibly engage in them regularly are more likely to positively influence their workforce. And when the CEO holds his or her leadership team accountable for employee health outcomes—like any other business strategy—the effort is likely to permeate throughout the organization. Finally, most employers with more than 750 employees really should have a health promotion specialist on their team. Use a professional to guide your employee health strategy–don’t guess! Q: What are the current trends in corporate wellness? A: There is a lot more talk in the industry around creating a healthier workplace culture. We know that behaviors are influenced by the people and environmental triggers around us. When a workplace has a health culture, healthier choices become the norm. Q: What is Johns Hopkins doing to engage its employees in healthier behaviors? A: For the past several years Johns Hopkins Medicine has been building the infrastructure to support a healthy workforce and create a culture of health. During this time we’ve launched a Healthy at Hopkins website to serve as a hub for all employee health-related information. We’ve also enhanced our tobacco control efforts, conducted a healthy beverage campaign that eliminated most unhealthy beverages from our cafeterias and introduced a lot more healthy drink choices. Our next initiative is to introduce healthier vending machine snack choices. Johns Hopkins Medicine also is in the second year of enhancing our healthy workplace culture by following the elements of the Centers for Disease Control and Prevention’s worksite health scorecard. And we’re seeing a difference: employees are sharing their health success stories, and groups of employees are initiating their own health programs with their friends and co-workers. Q: What have been the challenges and successes of Hopkins’ healthy food and beverage campaigns? A: I had an employee walk up to me and tell me that he has diabetes. He then went on to thank me for organizing the effort that resulted in more healthy beverages in the vending machines. That’s the real impact we are having. Of course there are a few employees who were upset that their favorite sugary beverage wasn’t available, but they’re always welcome—but not encouraged—to bring what they want from home. Providing healthier food to our workforce through our cafeterias, vending machines and retail establishments is a much bigger and more complicated project than the healthy beverage campaign, because there are just so many more choices. And it’s amazing how much food we serve throughout our many buildings. So after a range of administrators and employees and clinicians agree on what is a healthy food, we have to figure out the distribution model, how our choices impact our guests, the financial model, and many other details. We’re getting there, in steps. The good news is that the vast majority of our employees recognize that as a health care institution, we need to both help our patients and help each other.